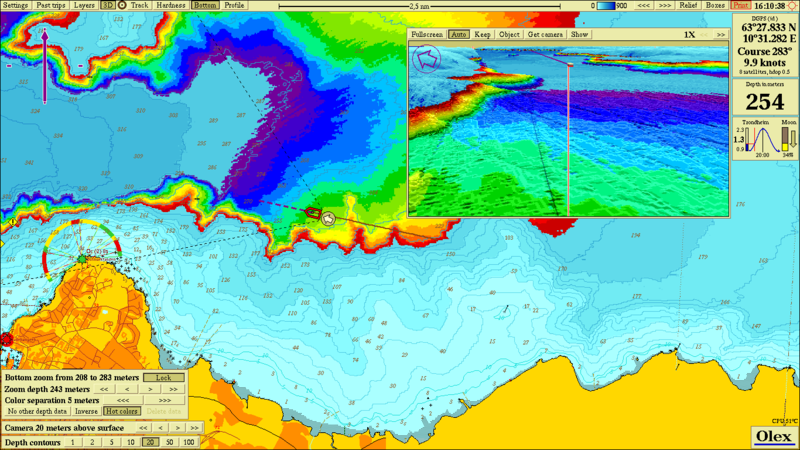 Depth and elevations in meters, fathoms or feet. 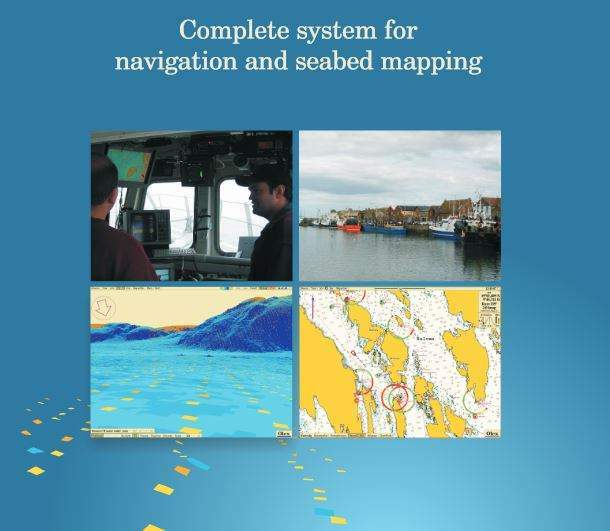 The system provides a unique combination of navigation, fishery plotting and seafloor mapping. 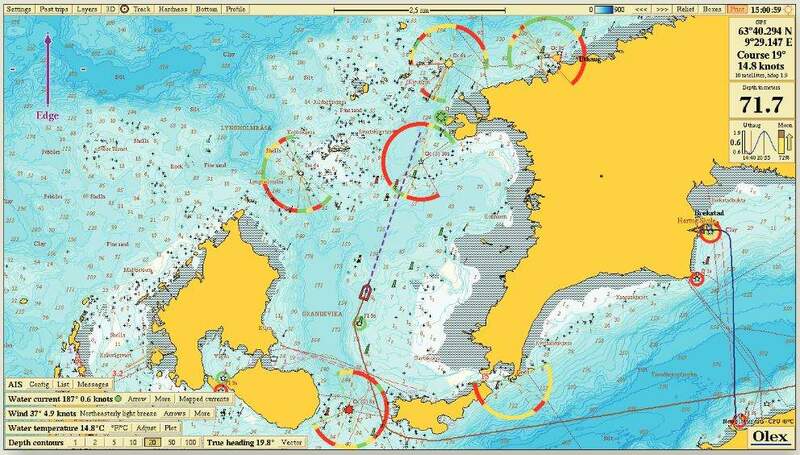 Using information from Echosounders and GPS the system collects data about the seafloor which buildes into a seafloor view. 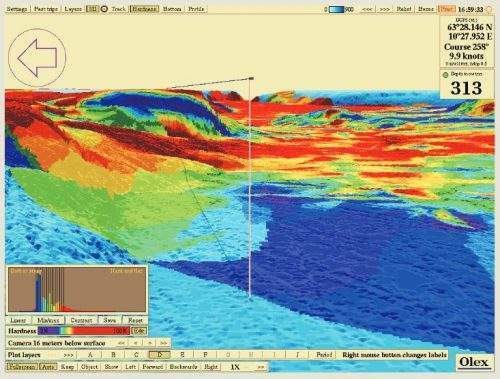 Has 3D and 2D Modes which allows for a clear understanding of the topography of the area. The excellent 3D view gives a detailed picture of a particular area. Several 2D modes such as relief, depth contour and a bottom zoom, highlight both flat and complex terrains. Olex also has a special function which shows 2D profiles. Combined with the seafloor mapping and an extremely powerful plotter it is easy to store marks, comments, track lines and areas during use. 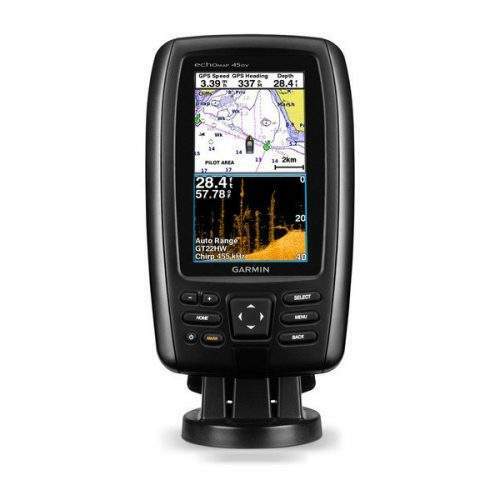 The Olex system can be connected to Simrad EQ60, ES60 and ES70 Echosounders. Which makes it is possible to map the hardness of the seabed. The system analyses the bottom echo taking into account pulse length, beam width and transducer type. A bottom backscatter is calculated and added to the internal chart and so the hardness is then shown in an easily adjustable coloured format, ranging from deep pink for soft bottom to bright yellow for hard. 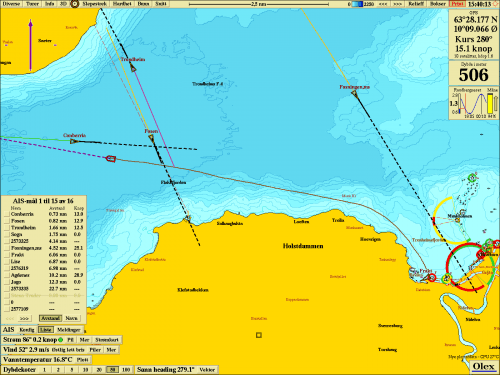 interfaced with the Simrad ITI trawl positioning system. 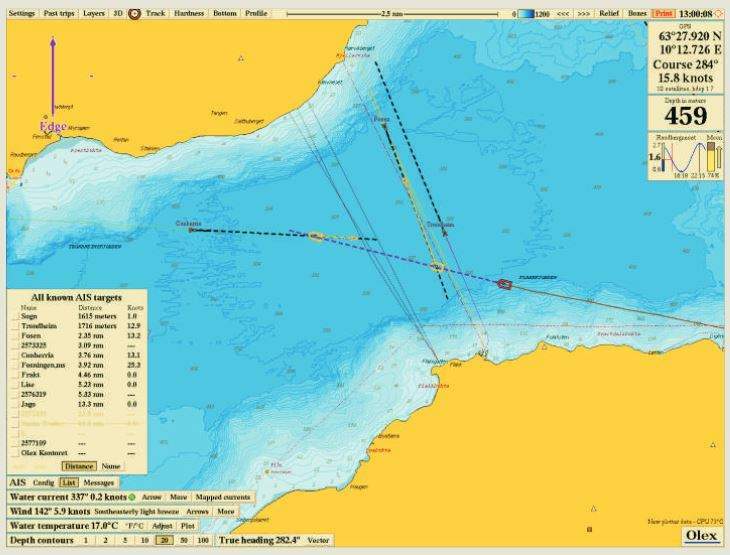 The true position of the trawl is shown is 2D and 3D. This will also show distance, bearing, door spread and track. 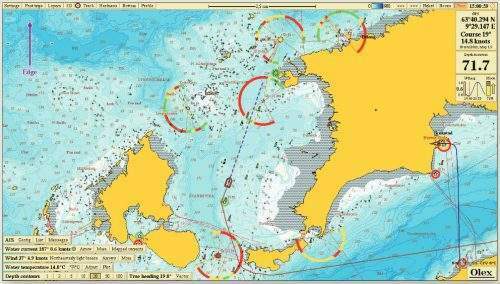 It is also possible to fully integrate the Olex system with the AIS, via the optional module. 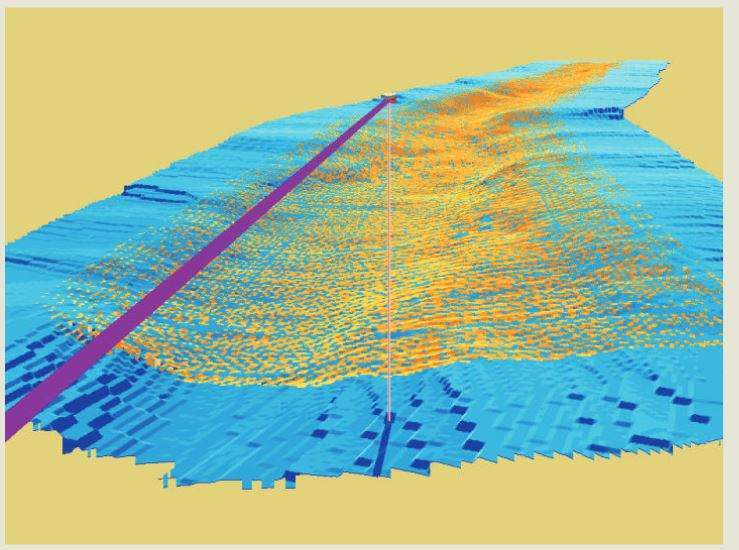 Details a picture of the seafloor the Wassp multibeam sonar, mapped by Olex and immediately shown in 2D and 3D. 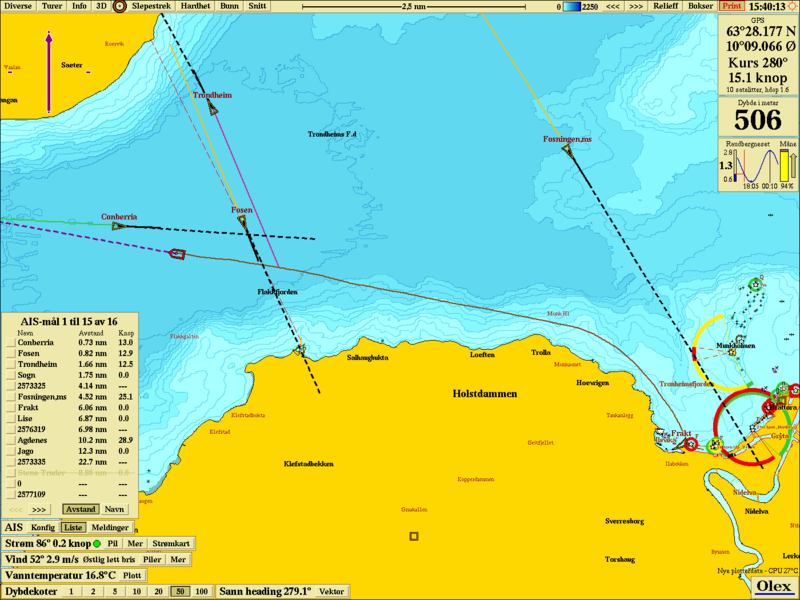 By pointing at the map the Olex user can see the exact position of the fish and objects.